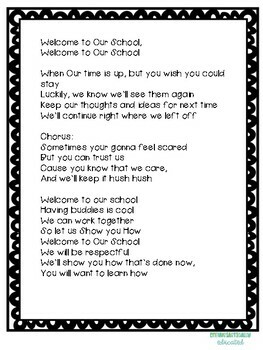 Welcome to Our School- SEL song to the tune of Flo- Riders "Welcome to My House"
Do you want to have fun with the kids and get together with Cross-Age Buddies or pair up kids in your class. 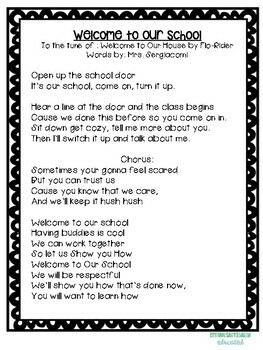 This lesson is a great way to get know buddies and learn about how to kind and helpful. It's also fun getting together and sing. Kids LOVE coming up with the movements. Check it out. Thank you @ateacherscreativespace for the font! Check her out on instagram and TPT! Thanks to Creative Clips Check out her TPT and instagram account for fun fonts.- Thanks Sabrina.